Looking for someone to clean your HVAC ducts and dryer vents? You need a reliable residential duct cleaning service like Tuckey Restoration, Inc. to offer a solution. 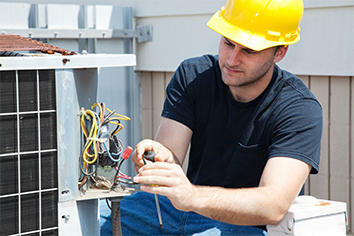 Count on our team’s decades of experience to ensure top-quality service. When you call on us, you’ll soon see why customers in Carlisle, Chambersburg, Shippensburg, and Harrisburg, PA, put their homes in our hands. *For immediate duct cleaning service, call us at (717) 249-3733. 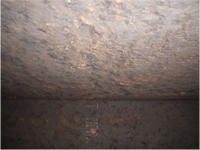 When Should Your Request Duct Cleaning? Additionally, if a member of your family suffers from asthma, severe allergies, or heightened sensitivity to air pollution, it may be necessary to have your ducts cleaned more frequently. 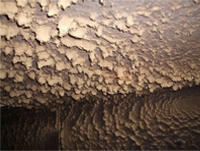 Contact us if you have any questions about the frequency of your duct cleanings. 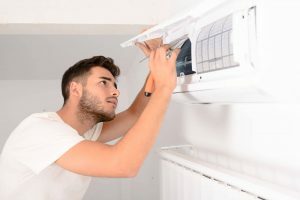 Beyond HVAC duct cleaning services, we also provide dryer vent cleaning services – something you may not even think about until it’s too late. If you have a dryer in your home, cleaning its vents is more critical than you may think. Nearly 3,000 dryer fires happen every year, and 34% of them occur because the owner neglected to clean the vents. Yearly dryer vent cleanings not only extend your appliance’s lifespan, but also keep you and your family safe. Cleaning your dryer vent on a regular basis helps to prevent fires, carbon monoxide poisoning, damage to your appliance and increased utility costs. Why wait to clear your vents? If you think you’re at risk, get in touch with us today. With roots dating back to 1968, the Tuckey family of companies has been helping central PA residents live better for more than 35 years. Tuckey Restoration, Inc., offers dryer vent and duct cleaning services to homes throughout the area. With a team of skilled technicians and a commitment to delivering exceptional value in everything we do, we can help you save money while maintaining your home’s optimal indoor air quality. A periodic investment in duct and dryer vent cleaning is a vital part of keeping your family healthy and your home running its best. If you’re overdue for cleaning or have any questions, contact the local ductwork experts at Tuckey Restoration today. We clean ducts and dryer vents in Shippensburg, Carlisle, Chambersburg, Harrisburg and beyond. Call us at (717) 249-3733 or fill out our service inquiry form. "Jared and Mindy took care of our dryer vent that was clogged and cleaned up all the lint from the backyard, laundry room. They even washed my laundry room floor. 5 starts for this team."